Q It seems that Toronto’s food and fine dining scene is heading in a healthier direction, what has set this shift in motion? A People are becoming more conscious because they’re realizing that the food they’re eating is starting to have an effect on their bodies. And it’s not just the way we feel; in some cases, it takes an event like an illness to bring about change, but I think that with generations taking care of their parents there’s an understanding that we can prevent some of that through our daily lifestyle habits. People are just looking for that education. 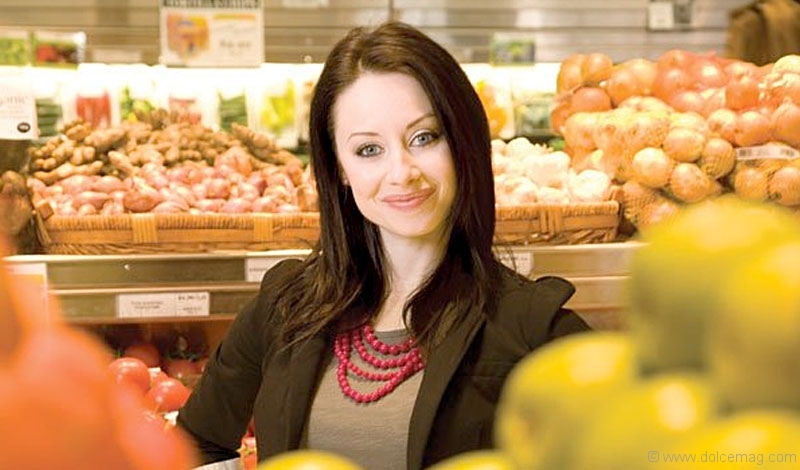 Q As Pusateri’s Fine Foods’ resident nutritionist, how do you help shoppers attain that healthy lifestyle? A The original intention was for me to come in and shine a light on the nutritional benefits of the amazing products offered, but we’ve definitely evolved from there. 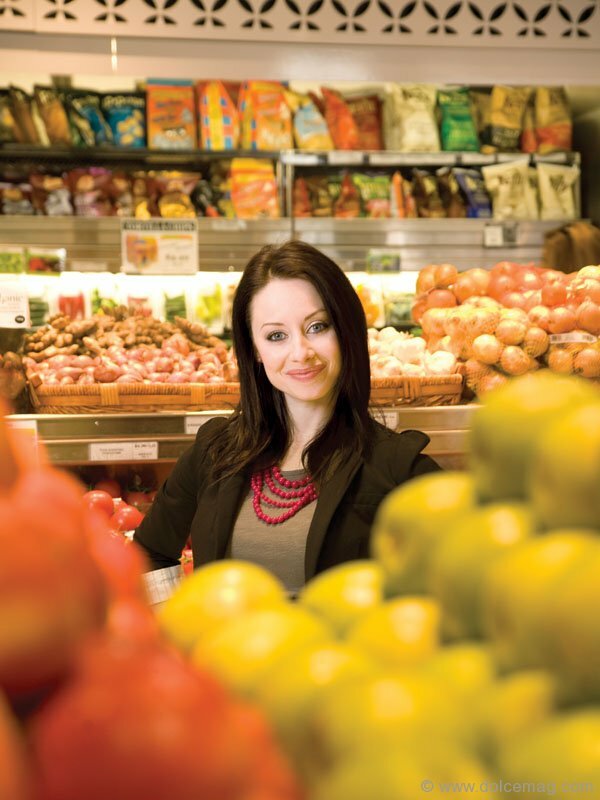 I spend a lot of time at each store consulting with customers and staff with the whole premise of trying to educate people on how to be healthier. I also work with the chefs at Pusateri’s to create some really awesome new dishes like the organic salad, which combines so many amazing sprouted beans and nuts and seeds and apple cider vinegar — all the things that I love and that taste good. There’s so many quinoa dishes that we’re doing right now! We’re really evolving in that direction of offering not just tasty food but healthy food along with it. I have these ideas and Pusateri’s brings them to life; it’s a beautiful marriage. Q How do you host a spring soiree with a health-conscious curve? A When you’re entertaining you want to supply amazing food. It’s kind of a misconception that healthy food doesn’t taste good. 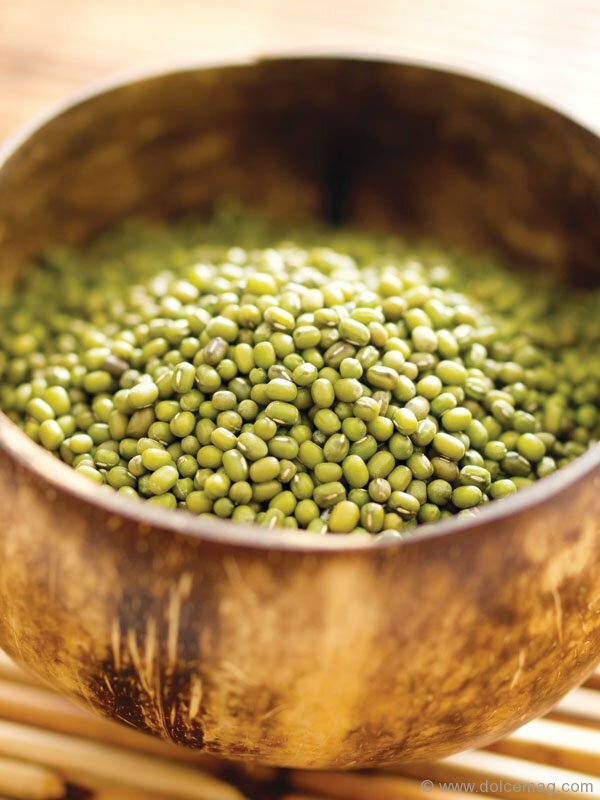 There are so many creative ways to turn a delicious dish into one that has more whole grains and less saturated fat. It’s a matter of swapping ingredients. For example, I recently designed a chocolate fudge cake recipe for Pusateri’s, and instead of having the butter and the white flour, I did a flourless version with pumpkin in it and it’s really moist and creamy. We used dark chocolate as opposed to milk chocolate. If you serve your guests good food and they feel good eating it, and they feel good afterwards, then you have a hit. Q What’s a golden rule for foodies to live by? A Make sure that you’re combining the right foods when you’re eating. Try to consume those raw living foods that help digestion and avoid as much processed food as possible because it’s just been stripped down. I also really believe in not overcooking vegetables; we want to preserve enzymes in food. If we do have proteins like meats, try to have a raw vegetable with it. I think it’s always great to have a salad with beef or chicken because it helps digest that food. 1 In a pot, cover the pearl barley with water and bring to a rolling boil. Reduce the heat and simmer until it is cooked through, 20 to 30 minutes. Drain, rinse with cold water and drain again. Set aside to cool in the fridge. 2 Rinse the wheat berries under cold running water. In a pot, cover the wheat berries with water and bring to a rolling boil. 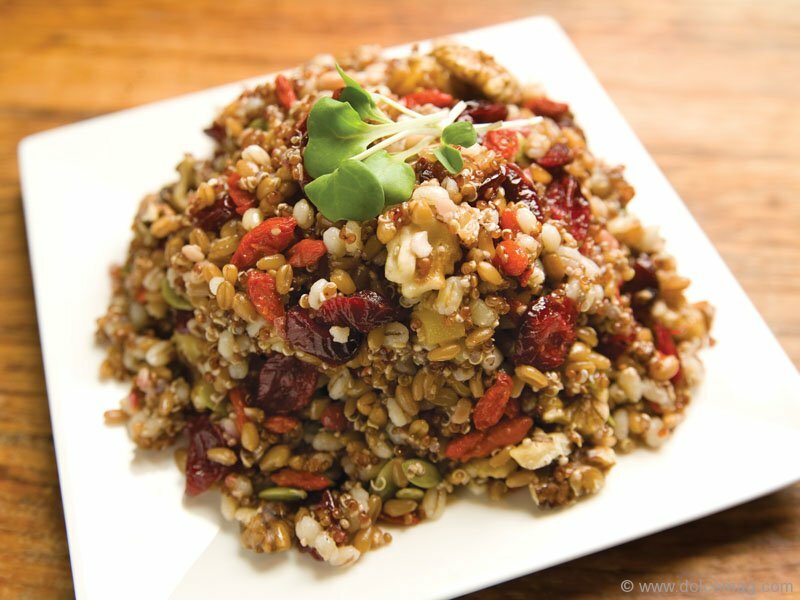 Reduce the heat and simmer for 30 to 40 minutes, or until the wheat berries are cooked through and tender. Drain, rinse under cold running water and drain again. Set aside to cool in the fridge. 3 Add 2 parts water to 1 part quinoa in a pot. Bring to a boil and reduce the heat to a simmer. Cook the quinoa for 20 minutes or until the quinoa is tender and resembles being “popped.” Drain under cold running water and set aside to cool in the fridge. 4 Chop the apricots into bite-sized pieces. Roughly chop the walnut halves. 5 In a large bowl, combine all of the ingredients and mix thoroughly. Adjust the seasonings, to taste. Serve immediately or store in the fridge until ready to use.